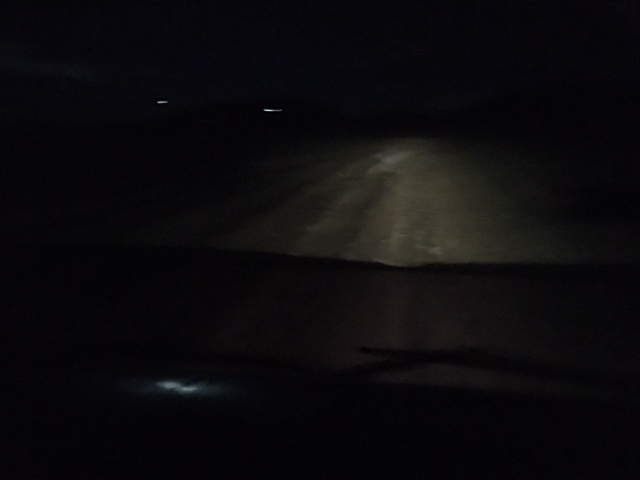 After navigating for the tow truck drive for more than 14 hours, some of it in the dark on dirt tracks. We get lost because the GPS coordinates are wrong and so are the directions. Doesn’t look like any sleep is in the near future. Need to find out what our options are. Hoping today will go smoother than yesterday. Pushing on.